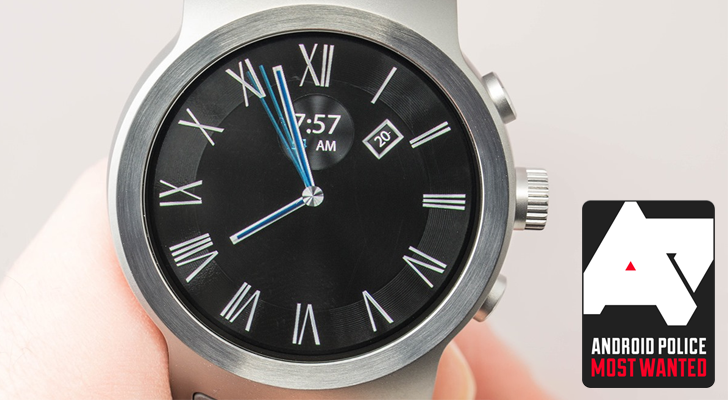 The normal Huawei Watch 2 is not all that great, but the 'Classic' variant retains the traditional timepiece design of the original model. It's a bit bulky, but it has all the bells and whistles you'd expect from a recent Wear OS smartwatch. Now you can get it for $179.99, a $48 drop from the previous Amazon price and $190 off the original MSRP. 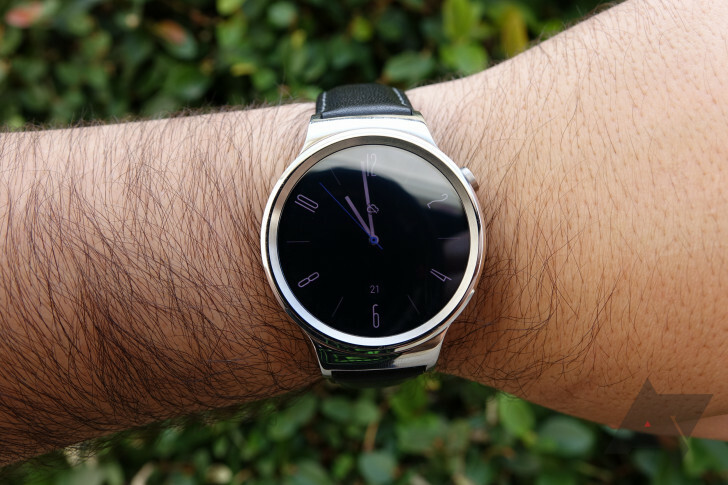 The original Huawei Watch was one of the best Android Wear devices you could buy in 2015, and it's still a popular watch to this day (mostly for lack of better options). Its successor came out a year ago, but it was a disappointment in almost every regard. The bulkier frame, uninspired sporty design, and small screen made it a downgrade from the original in many respects. 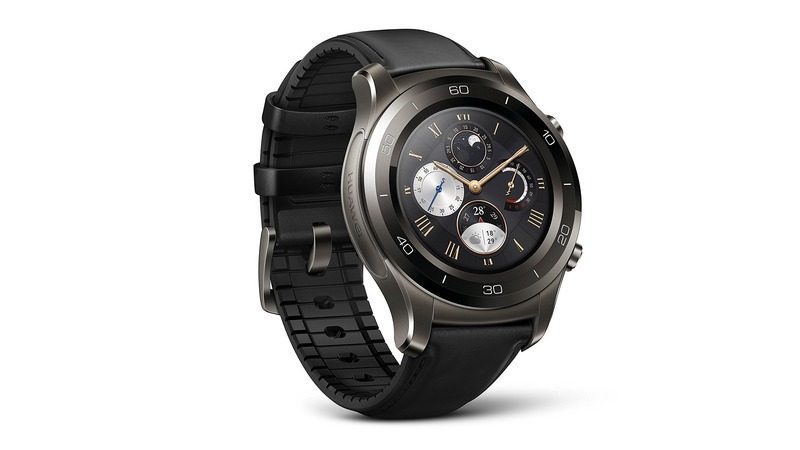 Huawei is one of the last tech companies still interested in Android Wear. The Watch 2 and Watch 2 Classic were released earlier this year, and the Watch 2 Classic even earned a spot in our Most Wanted list for wearables. 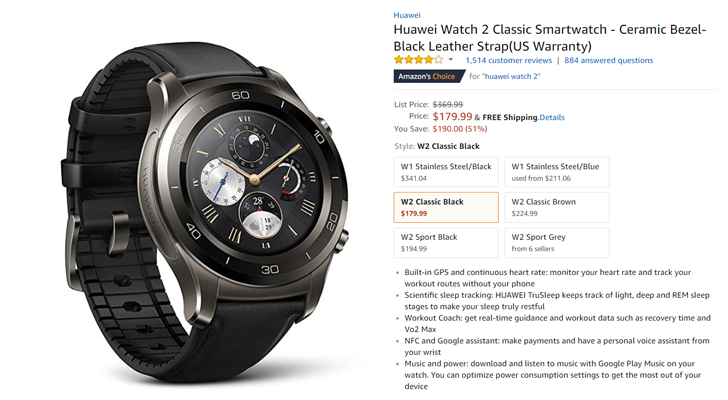 Both of the watches are now on sale at Best Buy - $179 ($120 off) for the Watch 2 and $219 ($148 off) for the Watch 2 Classic. These are the same discounts that were live on Black Friday. 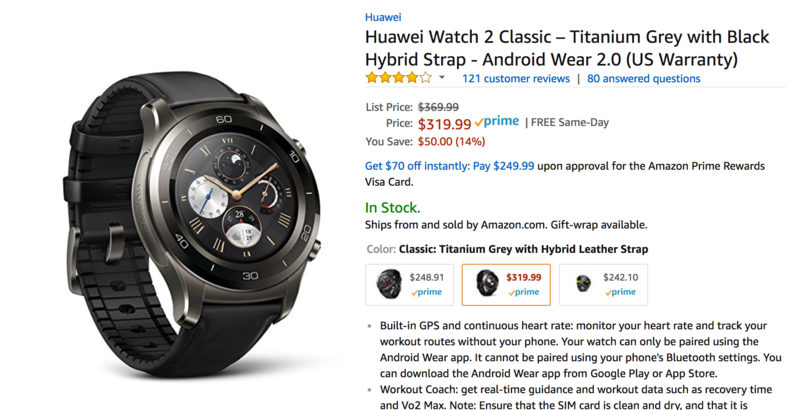 If you (or a friend/family member) wants a smartwatch or other wearable this holiday season, it can be hard to pick out the right one. Dozens of smartwatches have been released this year, and there are at least a handful of excellent fitness trackers on the market right now. To give you an idea of the market, just from January to May of this year, twenty Android Wear watches were released. To make your holiday shopping a little bit easier, we've compiled a list of the best smartwatches and wearables you can buy right now. 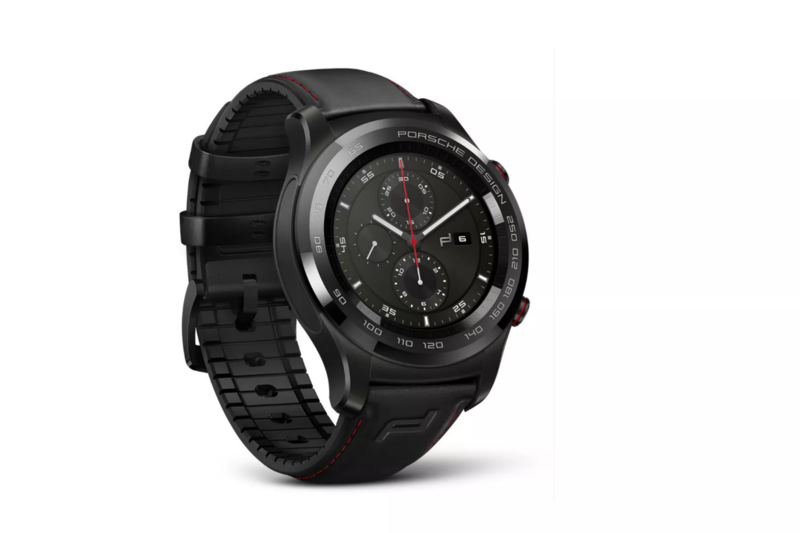 Huawei today announced the Huawei Mate 10 and Mate 10 Pro in China, but along with them came one surprise that we didn't see at the international launch event in Munich: a new Huawei Watch 2 Pro. It looks pretty much like the Huawei Watch 2 Classic, but with one main difference: eSIM support. 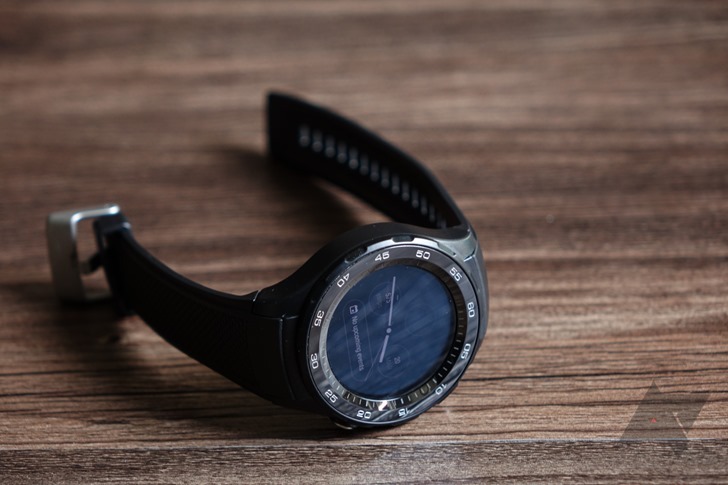 The new Watch 2 Pro has 4G/3G/2G support for its eSIM, along with Bluetooth. 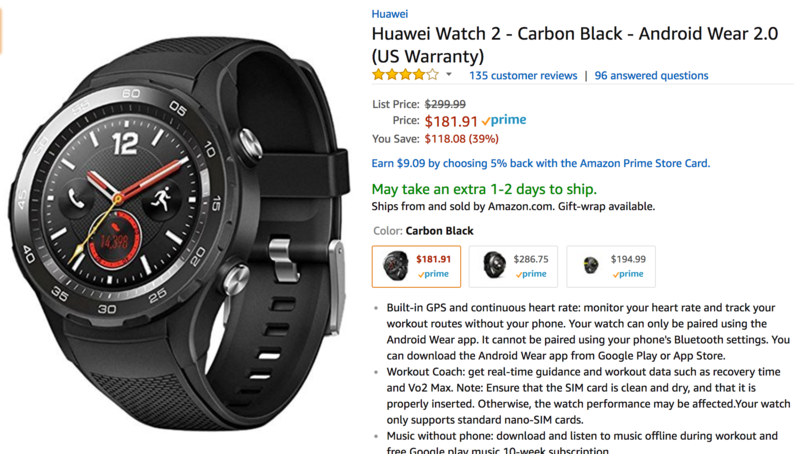 We weren't big fans of the Huawei Watch 2, especially considering how good the first-gen Huatch was, and its $299.99 price tag didn't help it out. But at a hair over $180, the Watch 2 Sport becomes a much more enticing purchase, as does the Classic at $286.75. These are both the lowest prices we've seen on Amazon.